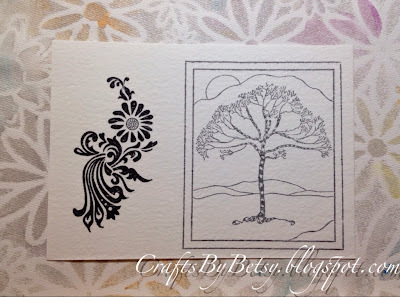 by Betsy: ZIA, stamping, and cards. Oh my! 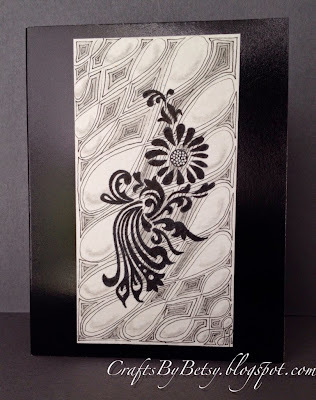 Inevitable that my stamping, cards and Zentangle® collide. It's been happening randomly for a while now. This week it seemed a requirement! I hope you enjoy these. They were fun for me. 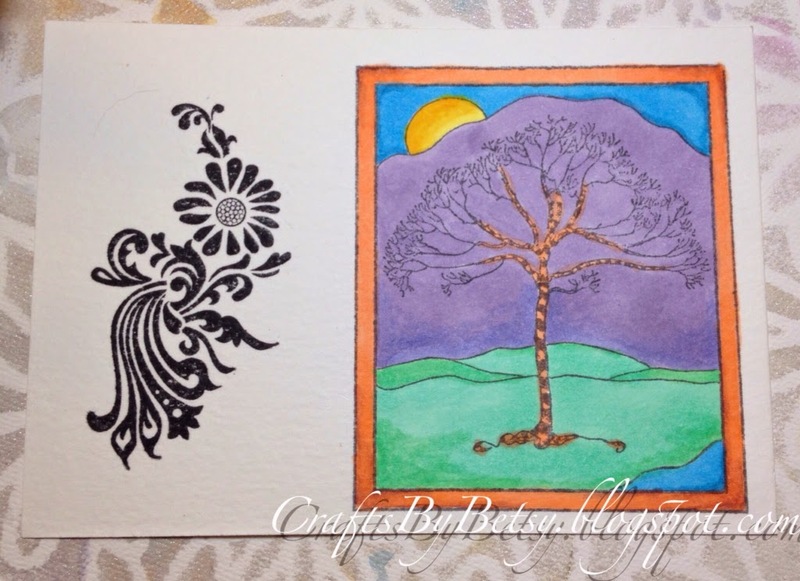 These two stamped images were stamped on a scrap of hot press watercolor paper. Both stamps are from Paper Parachute. I stamped the tree image with Momento ink and colored with Copic Markers. (The watercolor paper really soaked up the Copics, probably not the best choice of paper for the coloring, but it was very nice for both the stamping and tangling.) Then I tangled Mooka with a cool gray Copic Multiliner. I think it looks quilted. 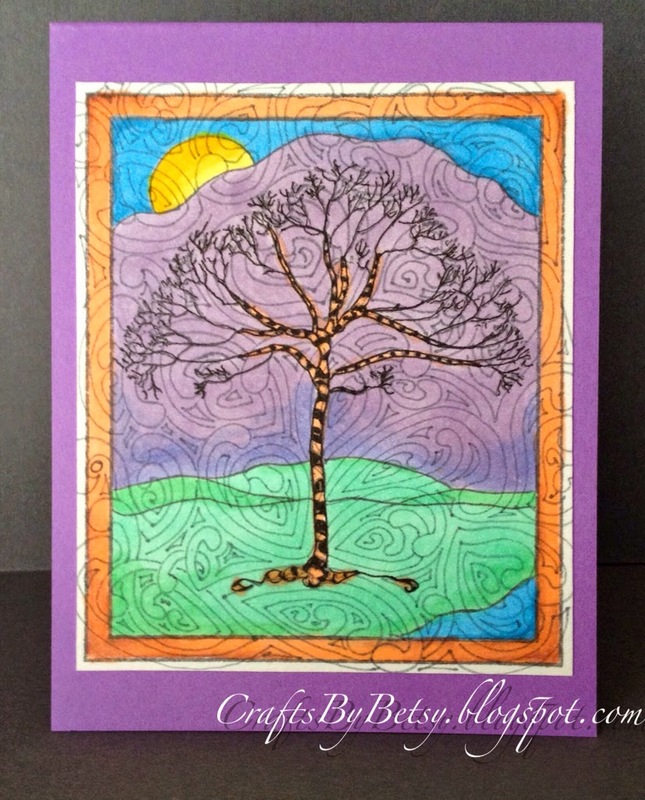 I went over the tree with a black Sakura Pigma Micron to make it stand out. This second example is also stamped with Momento ink, tangled with Echoism using a black Sakura Pigma Micron and shaded with Derwent graphite pencil. 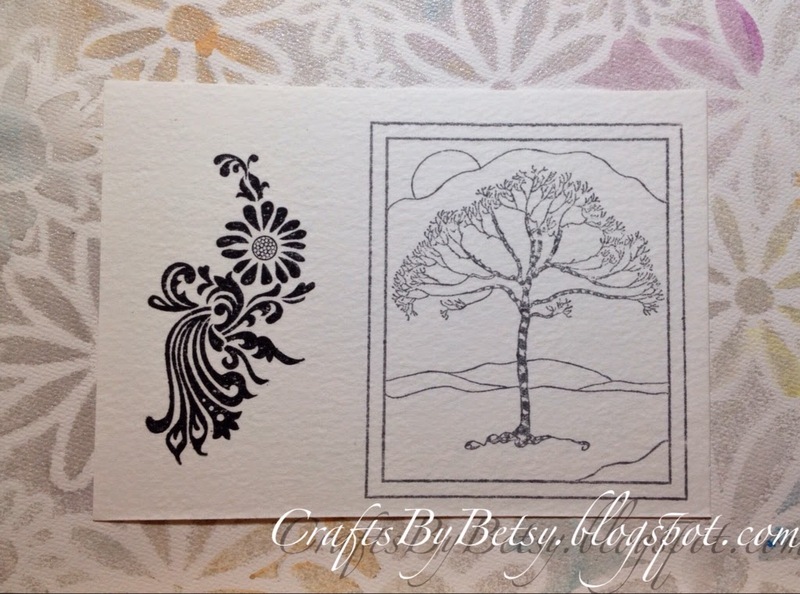 Both pieces were trimmed and mounted on cardstock (final cards are A2 or 4.25" x 5.5"). 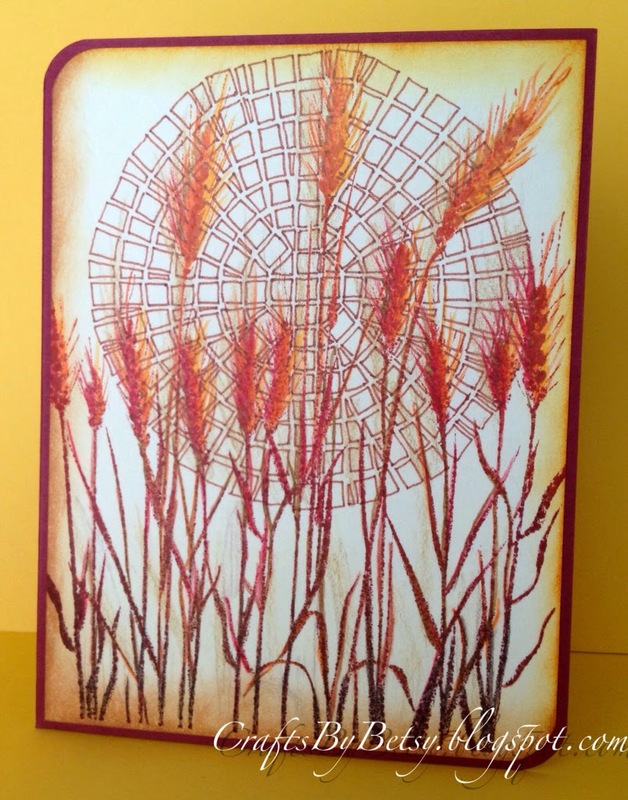 And finally, this Hero Arts stamp, Silouette Grass was stamped on cardstock with Big & Juicy foliage ink. 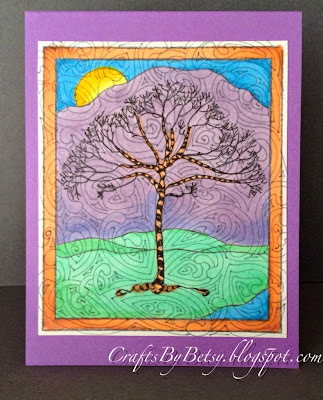 I tangled Man-O-Man in brown Sakura Pigma Micron and then added Faber-Castell Polychromos Colour Pencils to darken the stamped image and provide shading. 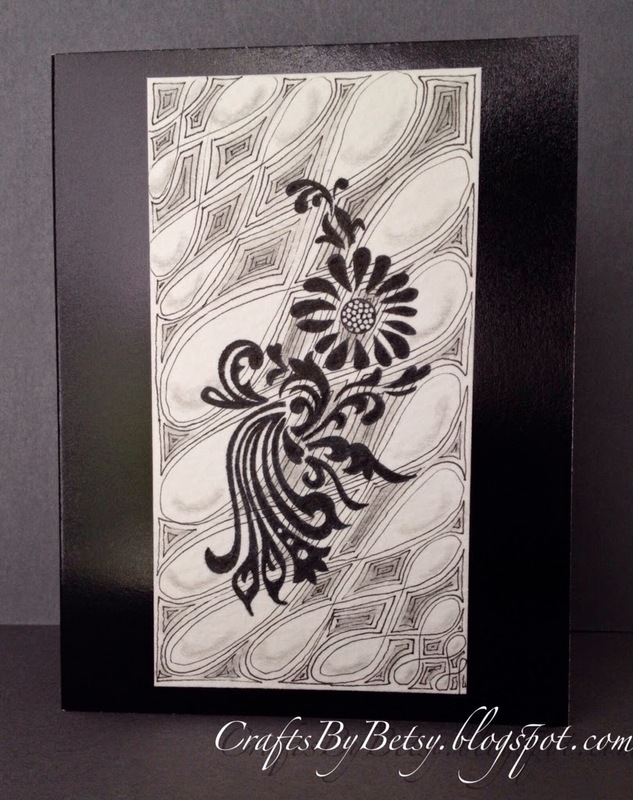 I inked the edge with Ranger Distress inks, trimmed, rounded the corners and mounted on an A2 card. Did you see the give away info posted last week? If not, check out the details here.